I am the worst at keeping up with photo albums. I have a bajillion photographs on my computer and external hard drives (yes, hard drives! That's how many photographs I have!). My photos date back to junior year of college when I got my first digital camera all the way up to today. But even though I have all these memorable photographs, I don't do much with them! I think it's a combination of lack of time, lack of organization and cheapness that keep me from actually making the photo books I want. I also get overwhelmed when I start to think about it, because I think about all the photographs I've missed out on making (so why start now!) and so on and so on. 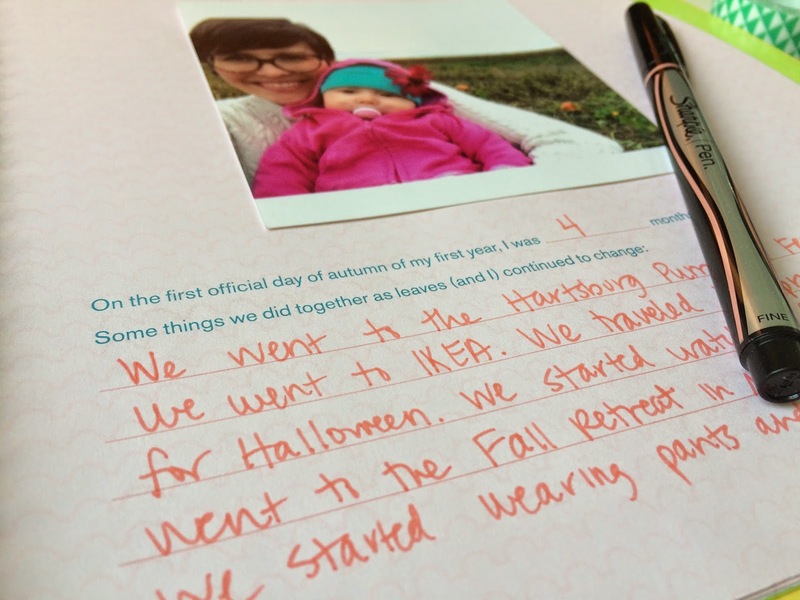 So when The Rose was born, I knew I wanted to actually follow through with keeping up a photo book of her first year (and hopefully beyond, when I get there!). And I am happy to say that nine months in, I'm actually doing it! 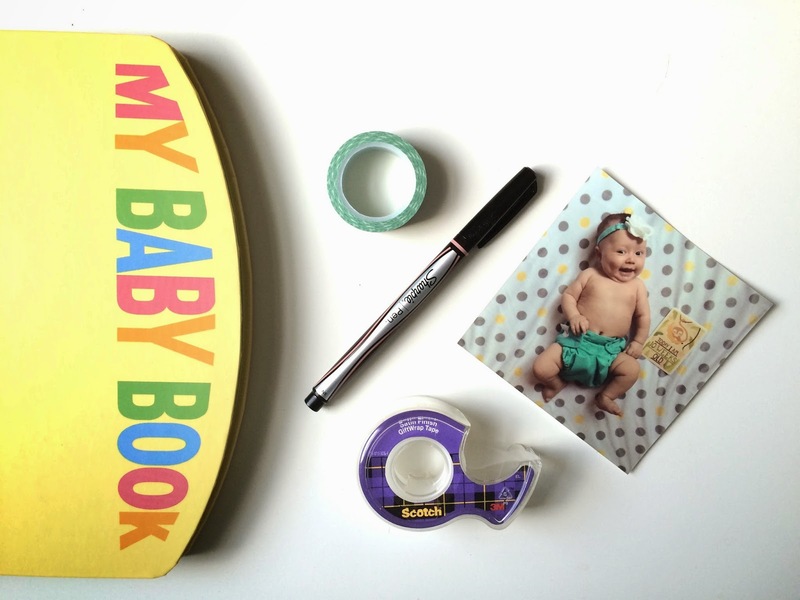 So today I'd like to share four tips for you Mamas (or someday Mamas) out there who are like me, who want to make a photo book for their babes but feel like they have too little time, or too little energy or too little motivation to get it done but really, really, really want to get it done! First, pick a book that's your style. Whether it's a photo book you're making online or a fill in, tape in photo book like the one I chose, pick one that you love. You're going to be looking at it for a whole year (or more, depending on the book). So make sure it's something you like! I went to Barnes and Noble and looked at a couple options, I asked a few friends and then finally I ordered mine online here. Second, don't overthink it. I am a perfectionist. I am learning more and more everyday to let go of that perfectionism because everything does not have to be perfect. 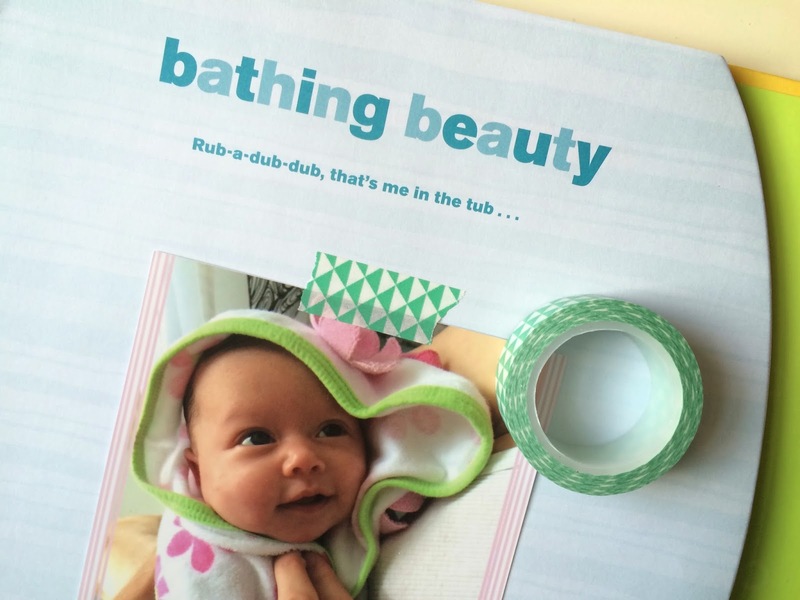 At first, when it came to The Rose's baby book I would get overwhelmed with the thought of "not writing the perfect thing" or "not choosing the perfect photo" or "not taking the perfect photo" that I almost didn't even start. So practically what this means for me is I take her monthly photos whenever I can (not usually on the actual day) in whatever outfit and with whatever background. And then to make it even easier, I print the Instagram photos I tag of her as my photos to put in the photo book. 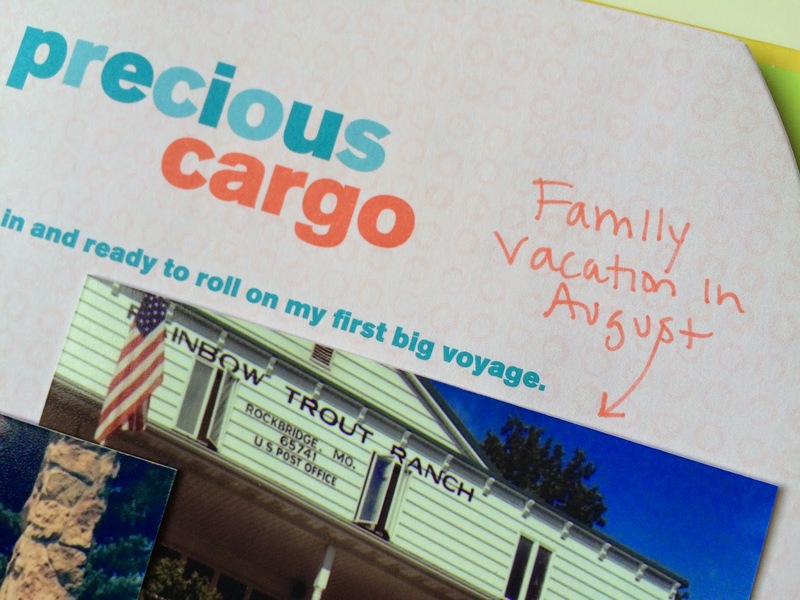 (You can choose the Instagram option at most photo printing stores, including Walgreens where I get mine). Third take it slow. 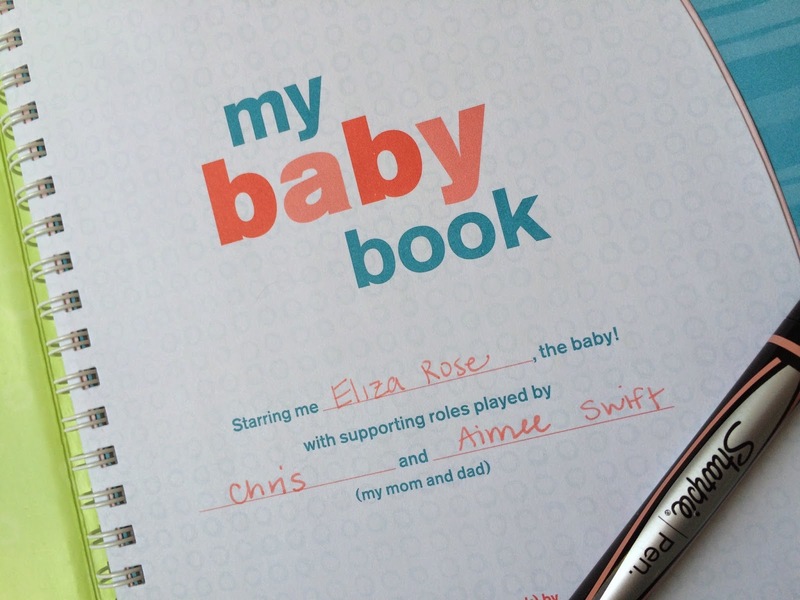 Mr. Christopher and I started working on The Rose's baby book a few months after she is born. We keep it in our living room so it is easily accessible, (we keep the same pen with the book too!) and we work on it every couple months when we have a slow weekend. This helps us to remember the small details with each month without getting caught up in having to have it done each and every month. And lastly, share the load. I love working on this alongside Mr. Christopher. He takes his turn writing in answers with me. We ask each other the questions and answer them together, usually while The Rose is giggling or screaming or playing next to us on the floor. 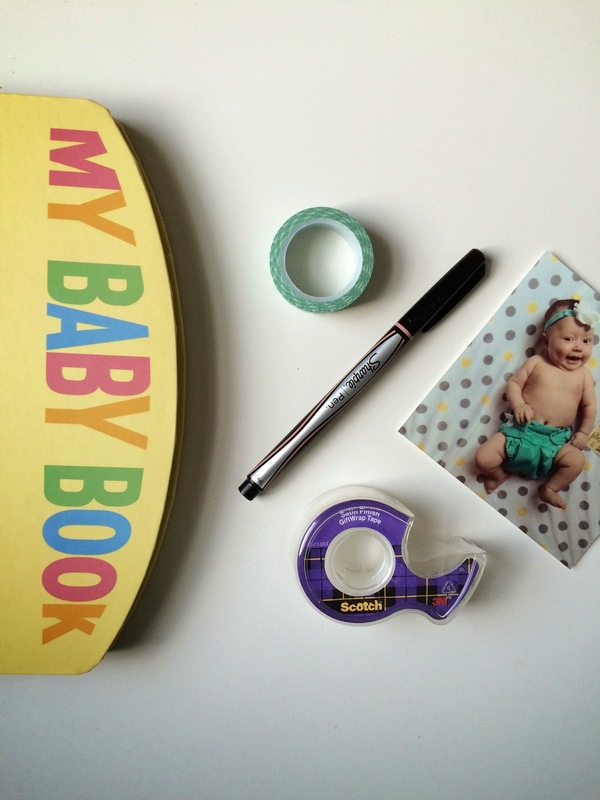 But please tell me, what is your favorite baby book or family photo album? Do you have any tips you'd love to share? Please do below. I'd love to read them! I keep notes in my phone, so I can quickly jot down "firsts," favorites, big events, and now hilarious Ellie quotes. 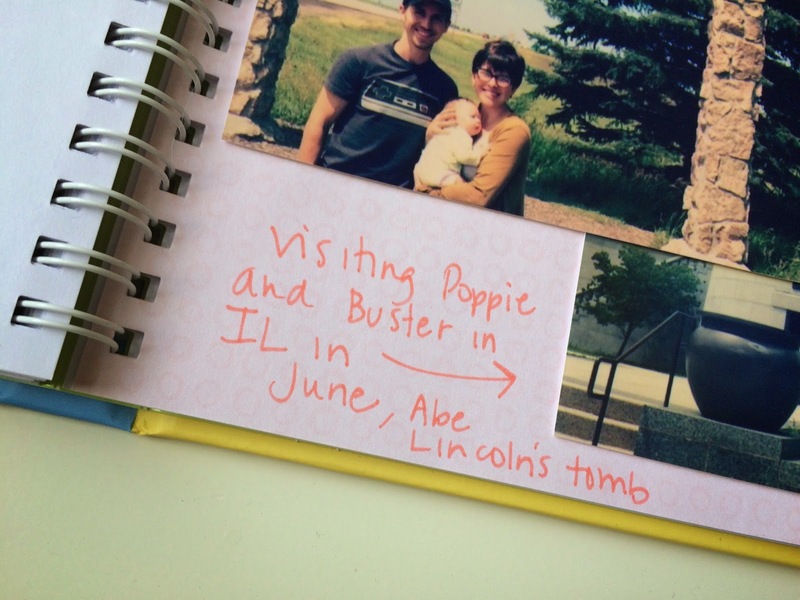 Then, when I have time, I can add them to the official baby book. That's a good idea Kate! I think I may do that when Eliza starts saying things!